Our services can be divided into two categories; creation and maintenance. 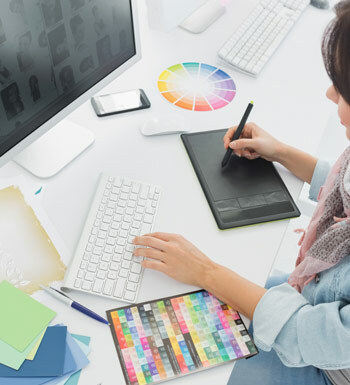 You're reading this page because you need someone to create a website for you, which is the primary service we provide. Based on your description and instructions, we build your website for you, using either WordPress or HTML. That means we build the pages and add any software, coding or plugins required. Unless you tell us not to, we optimise any text content you provide, to ensure best possible results with search engine results. Once your website is finished and accepted by you, that part of our service is complete. If you don't want to spend your time managing website hosting, dealing with security or maintaining your website, you might want to consider taking up our maintenance services, which can manage your website updates, security and backups for you. The core WordPress program is updated roughly once a month throughout the year, and the the plugins and themes which are used in your website will be updated at least as regularly. Failure to keep everything updated can cause websites to stop working properly and even cause security vulnerabilities. Websites are under constant automated attack from hackers (it's very rarely personal) and so looking after your website security and maintaining backups is essential, but time-consuming. We can deal with it all for you. One of the good things about HTML websites is that they're not attractive to hackers and require very little in the way of maintenance. Because of the nature of HTML websites you always have a backup of all your site files, so that's not a huge chore either. However, editing HTML websites does require a little knowledge and skill. The good news is that if you opt for an HTML website and don't want to risk editing files yourself, for example to change text, add or change photos and so on, we offer a page update service to cover it all. The service includes 24 updates, two per month (up to 24 a year), which is far more than the average website owner will require. We are not translators but work with a small group of freelance translators who can provide translations for most major languages at very reasonable costs if you need a multi-lingual website. Prices are available upon request but require you to send us copies of the text to be translated. If you choose our design and hosting services, your website will be hosted on the same UK-based server that this website is on. We need to guarantee consistent service for all our sites, and so some restrictions apply to resource use. In simple terms, if your website attracts thousands of visitors and starts to consume too many resources (server memory, etc) you may be obliged to move to individual hosting. Our web hosting includes email facilities. In the event that we are notified that your email account is being used to send spam emails, we reserve the right to terminate your hosting without notice. Website hosting is restricted to the websites we design.